Q: Why can’t you hear a Pterodactyl use the bathroom? 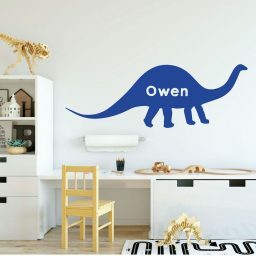 A: Because the ‘P’ is silent! 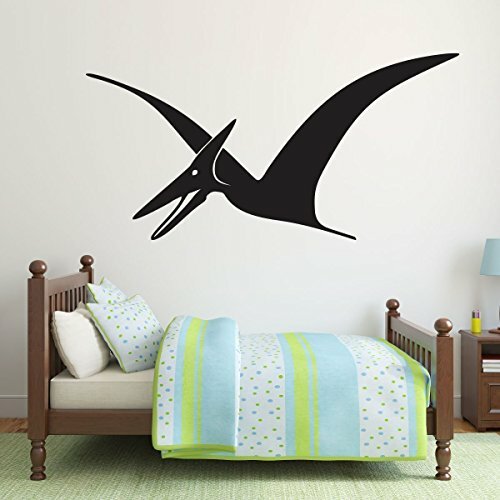 Any dinosaur lover in your life would be thrilled to have this Pterrific Pterodactyl adorning their bedroom walls! 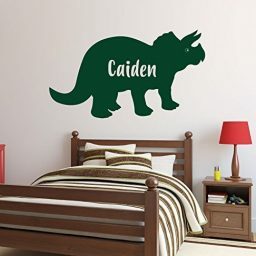 Boys, girls, and prehistoric creatures alike will all adore this Ptreasured Jurassic dinosaur wall decor. 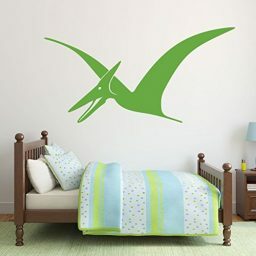 This design is a favorite among children, and your dino fan is sure to have fantastic adventures and daydreams with their flying friend! This Pterrifying Pterodactyl is the perfect way to jazz up an empty-looking bedroom, classroom, preschool, play room, office, or can even be used as a party decoration! 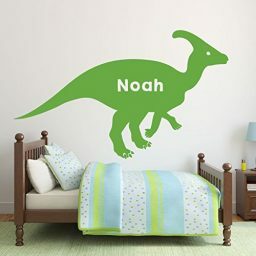 Dinosaur lovers of all ages will be Ptickled pink by this spectacular design! 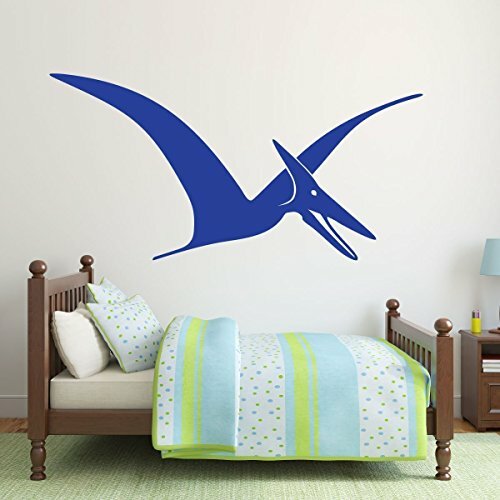 From the Ptips of it’s long wings, to it’s long pointed beak, this Pterodactyl is sure to please! 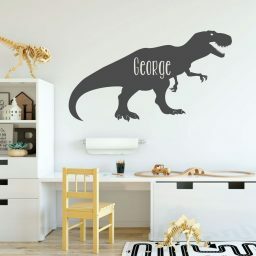 This is a Pterrific design for boys, girls, and children of all ages! 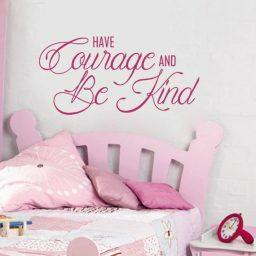 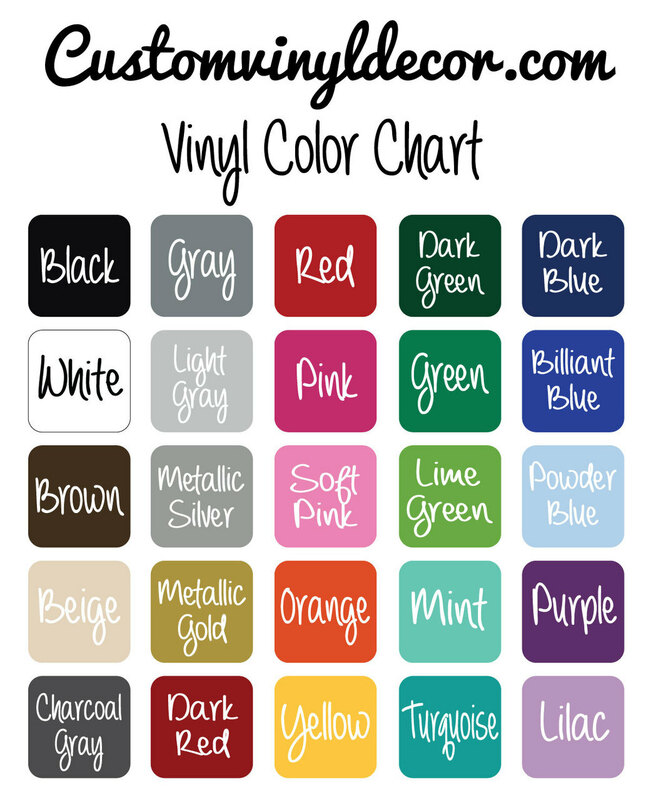 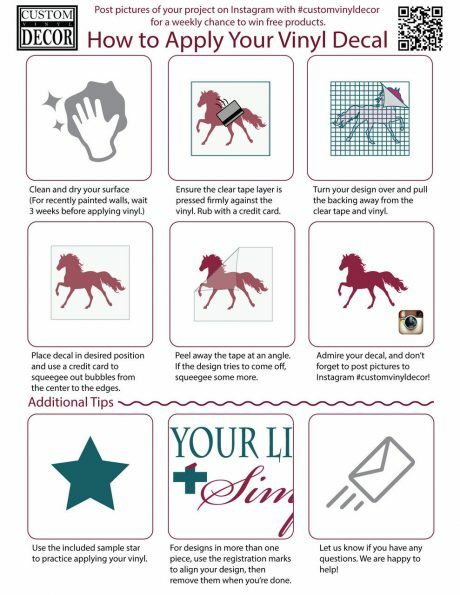 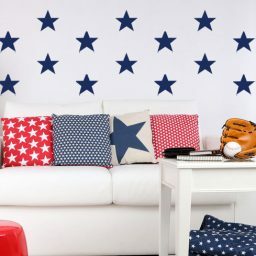 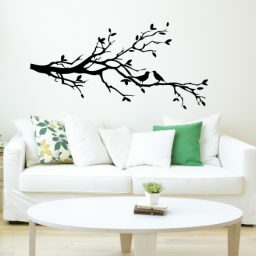 This design comes in a variety of sizes to perfectly fit your space, as well as in a wide range of colors so that you can pick a color to match your other decor! 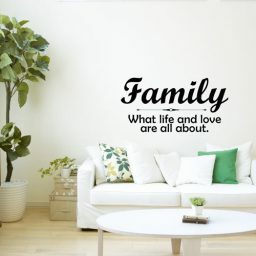 This is one creature that’s easy to care for, and best of all, comes off easily and cleanly when you’re ready for a new look!